These are some of the operations that No 11 Commando took part in, either on their own, or as part of a Combined Operations assault. No 11 Commando became part of Layforce. 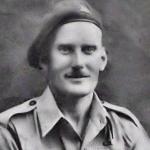 Sergeant Albert Astbury died in Germany. At the time of his death his Commando were engaged in fighting at the River Aller crossing. Extract from the Hartlepool Northern Daily Mail Tuesday 24 April 1945. 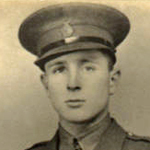 Corporal Frederick Beasley died during the period No 7 Commando, as part of Layforce, were engaged in a rearguard action whilst allied troops were evacuated from Crete. Gunner William Bristow died whilst a Prisoner of War. Sapper Alexander Cowper died during the period No 7 Commando, as part of Layforce, were engaged in a rearguard action whilst allied troops were evacuated from Crete. 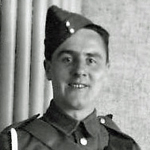 Private John Crosbie died during operations in Crete . 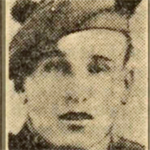 "Dumfries Commando Dies Of Wounds :- James Crosbie, 32 Shakespeare Street, Dumfries, has received intimation from the War Office that his son, Pte. John Crosbie, K.O.S.B., who was reported as wounded and missing while serving as a Commando in Crete two years ago, must now be presumed to have died of wounds." . 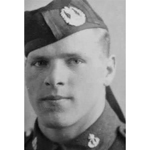 Sergeant John Else, No 7 Commando and Layforce, was killed whilst attached to No 1 Special Service Detachment. 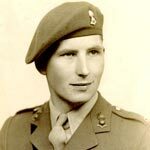 Bombardier Cyril Emms died during the period No 7 Commando, as part of Layforce, were engaged in a rearguard action whilst allied troops were evacuated from Crete. 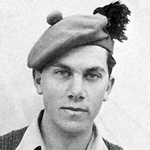 Lance Corporal Albert Gaylard died during an air raid whilst he was a prisoner of war in Italy. 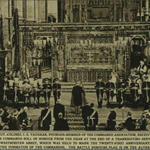 Westminster Abbey Commando Roll of Honour file. 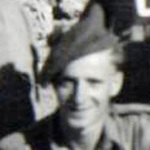 Private William Green died during the period No 7 Commando, as part of Layforce, were engaged in a rearguard action whilst allied troops were evacuated from Crete. Tpr. 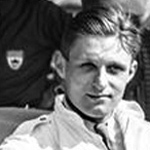 Hill died during the period of the evacuation of allied forces from Crete. Elements of Layforce were engaged in a rearguard action whilst the evacuation took place. He was attached to the Commando on the 13th January 1941. Gdsm. 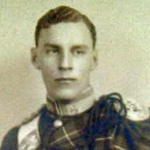 Maxwell died whilst a prisoner of war. 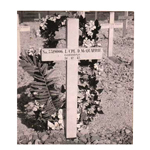 The CWGC list him by his Regiment only. His name is however recorded on the Westminster Abbey Commando ROH as being a member of Layforce and dying as a Prisoner of War. His name is therefore held on our ROH in the hope that further information establishing, or otherwise, any Commando service will come to light in the future. LCpl. 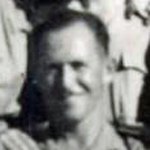 Moyles was killed during the evacuation of allied forces from Crete. Elements of Layforce were engaged in a rearguard action whilst the evacuation took place. 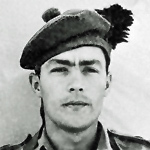 Sergeant George Munro, a veteran of the Litani River raid, died during operations with the S.B.S., on the island of Samos after leaving the Commando. Sep 1940 - volunteered for 11 Cdo. 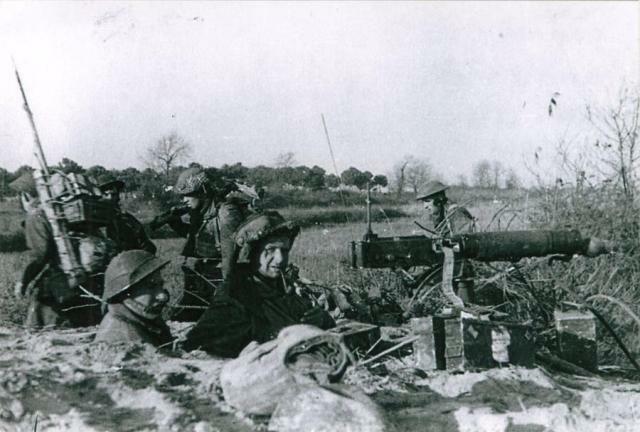 Mar 1943 - posted to D Sqn - promoted Sgt - D Sqn becomes SBS. 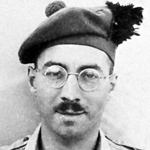 Trooper John Harry Nicholas died of malaria during an escape from a prisoner of war camp in Greece. 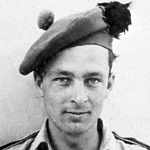 Captain Frank Nicholls, No 7 Commando and Layforce, was killed whilst attached to No 1 Special Service Detachment. There is a plaque in his honour inside Stratton Parish Church and he is also remembered on their War Memorial. Photos and more information are in our Gallery entry for Captain Nicholls. 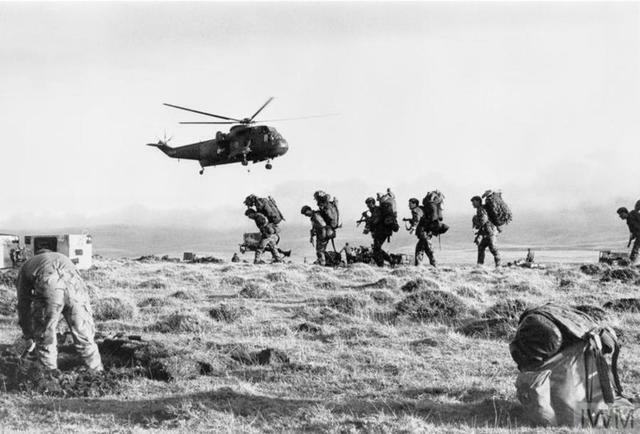 The original objective assigned to C Battalion "Layforce" (11 Scottish Commando) was to land on two beaches to the north of the River Litani and one to the south, seize and hold the Qasmiye bridge over it until relieved by 21 Australian Infantry Brigade. The full circumstances of the death of Pte. Parkington are not known to this archive. The date of his death coincides with that of the evacuation of allied forces from Crete. Elements of Layforce were engaged in a rearguard action whilst the evacuation took place. 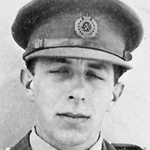 Private Harry Paternoster died of heatstroke. War Diary A Bn,Layforce, file ref National Archives WO 218/168, Entry for the 6th April "The death from Heatstroke of 5827448 Pte Paternoster H. occurred in 13th General Hospital, Suez." 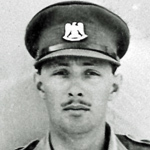 Corporal George Sheridan died during the period No 7 Commando, as part of Layforce, were engaged in a rearguard action whilst allied troops were evacuated from Crete. The exact circumstances of the death of Lance Corporal Sydney Stamper are not known to this archive.